The new Multimatic 220 AC/DC from Miller Electric Manufacturing LLC delivers all-in-one multiprocess capabilities for MIG, flux cored, DC TIG and DC stick welding, plus the addition of AC TIG capabilities. Welders can now tackle more projects and more materials — now offering AC/DC TIG from 24-gauge to ¼-inch thick aluminum. The Multimatic 220 AC/DC makes it easier than ever to switch between processes. QuickTech technology automatically determines the correct polarity and switches to the right process when the welder hits the trigger or taps the foot control. 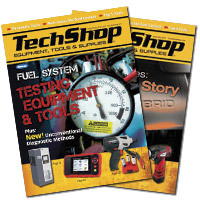 This technology also allows a MIG gun and TIG torch to be connected at the same time. In addition, the Multimatic 220 AC/DC features two shielding gas connections so both MIG and TIG gases can be attached simultaneously. 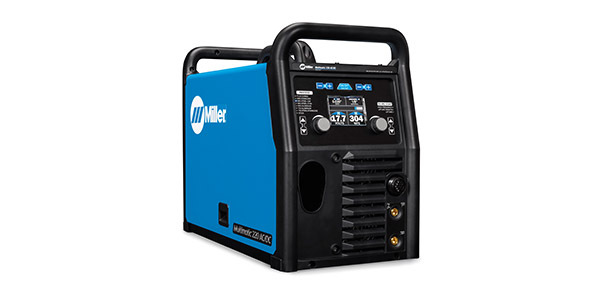 The Multimatic 220 AC/DC delivers ultimate portability, weighing just 56 pounds and featuring the Miller exclusive Multi-Voltage Plug, which allows users to weld in more places by simply choosing the plug that fits a 120 V or 240 V power receptacle and connecting it to the power cord. No tools are required. Ease-of-use is enhanced further through other innovative features. An angled wire drive uses an updated motor in an all-aluminum housing to support longer torch options and deliver smoother wire feeding for better welds. The Quick Select drive roll makes setup quick and easy by offering three grooves — two for different sized solid wire and a third for flux-cored wire.